With ‘Sine Wave’ technology, Kipor generators deliver stable electricity, ideal for frequency sensitive appliances and equipment. 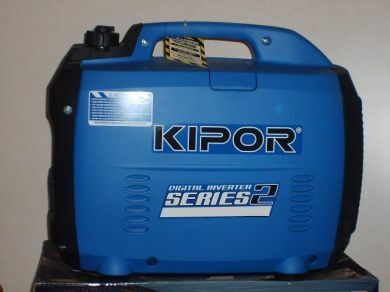 As well as being fuel efficient, Kipor generators are quiet [thanks to a blue encasing] and lightweight. To run a roof top air conditioner we suggest nothing less than a 2.6kva. The Kipor ranges from a 1kva to 6kva, this is a great range to meet all needs.